The last seven days of Laura Palmer. Special Features May not be in High Definition, audio and subtitles may vary..
From three-time Academy Award nominee David Lynch (The Elephant Man, Blue Velvet, and Mulholland Drive), and Mark Frost come all 22 episodes from the of the wildly imaginative, darkly comic mystery-thriller series that is one of the most acclaimed events in television history, Twin Peaks... 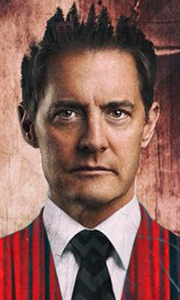 The hunt for the killer of Twin Peaks homecoming queen Laura Palmer turns ugly for Special Agent Dale Cooper (Kyle MacLachlan), who comes under inve..
Own Twin Peaks Season 3 - A Limited Event Series DVD from Deff, DVD, Blu-Ray & 4K Video Specialists - Free UK Delivery.. The entire mystery is finally revealed as all the pieces have been out together: Twin Peaks The Complete Television Series. Twin Peaks - Fire Walk With Me The Prequel Film Special Features The Missing Pieces: Nearly 90 Minutes Of Deleted / Alternate Scenes.. When Laura Palmer is found brutally murdered, FBI Special Agent Dale Cooper (Kyle MacLachlan) and Sheriff Harry S. Truman (Michael Ontkean) soon discover that in the town of Twin Peaks no one is innocent and nothing is what it seems. Sights unseen and sounds unheard... until now. The entire groundbreaking Twin Peaks television series, created by David Lynch and Mark Frost, has been compiled for fans to own and relish, taking fans deeper..
Own Twin Peaks Season 3 - A Limited Event Series Blu-Ray from Deff, DVD, Blu-Ray & 4K Video Specialists - Free UK Delivery..